Hello friends! Welcome to this week's #TuesdayTune post! This week has been another busy one at our place so I have decided that today's post is going to be totally devoted to relaxation! 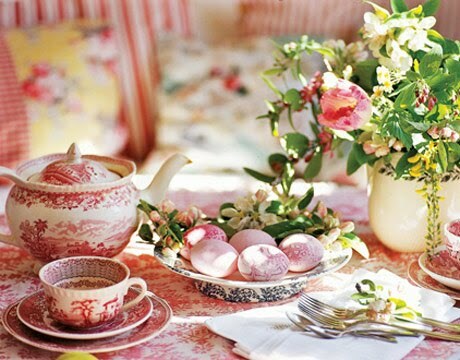 I am going to sit back with a cup of tea on a comfy chair and spend time relaxing and recharging my batteries! If you have five minutes to spare I hope you can sit back and relax with me too! Would you like to sit in the living room? Would you like to have some tea and cake! Or if you'd prefer we can can sit by the pool and have a nice cool drink. How about we listen to some music while we relax? I know a lovely guitar piece that you might enjoy. Have you heard of the Australian two-time Grammy nominee Tommy Emmanuel? 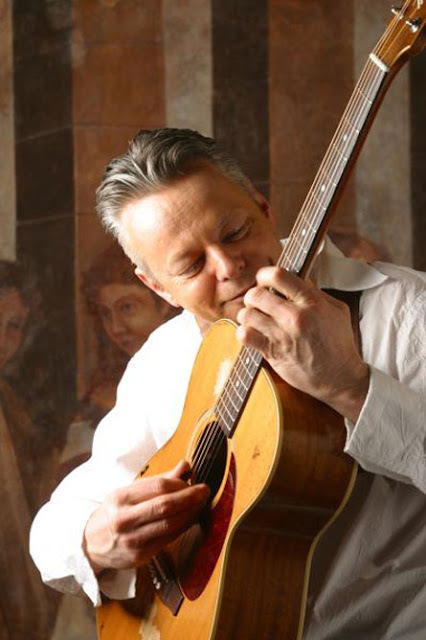 "Tommy" Emmanuel is an Australian guitarist who received his first guitar in 1959 at the age of 4 and was taught by his mother to accompany her playing lap steel guitar. At the age of 7 he heard Chet Atkins on the radio and he became fascinated by Atkins’ musical style of playing bass with the thumb and melody parts with the first two or three fingers at the same time. Tommy's style is akin to playing guitar the way a pianist plays piano, using all ten fingers. Rather than using a whole band for melody, rhythm, bass, and drum parts, Tommy plays all of that on one guitar. As a young man in Australia, Tommy wrote to his hero Chet Atkins in Nashville. Eventually Atkins replied with words of encouragement and a longstanding invitation to drop by to visit. In July 1999, at the 15th Annual Chet Atkins Appreciation Society Convention, Chet presented Tommy with a Certified Guitar Player award, an honor Atkins has bestowed on other guitarists. This award gains its fame from being bestowed by Atkins himself, a widely recognized leader in guitar music. 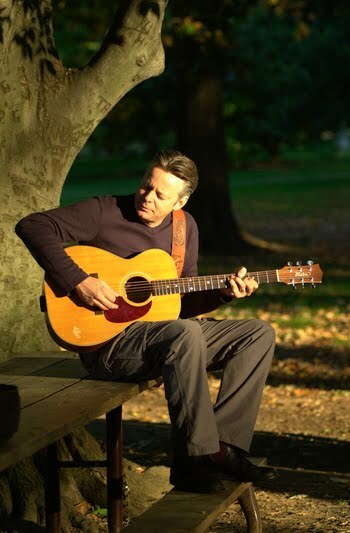 I hope you enjoy listening to the very relaxing tune, "Angelina" from his 2002 album Endless Road. Have you ever posted songs on your blog? I love listening to all kinds of music and I absolutely love listening to the music that my blogging friends from all over the world share on their blogs. Please leave a comment below if you have shared some music on your blog and I will come and check it out! Thank you my dear bloggy friends, for spending time with me today. I feel so relaxed now and I hope that you do too! 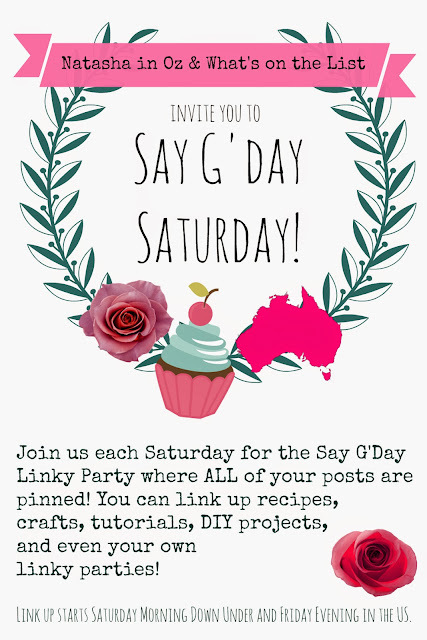 See you on Saturday for the Say G'day Saturday Linky Party! ALL of those scenes are so serene and beautiful that even if my kids were driving me nuts and I was in one of those rooms, I'd automatically calm down. 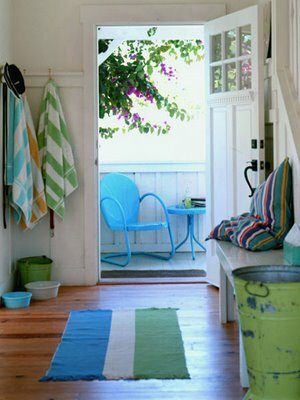 Beautiful photos, I think my favorite is the open door looking at the blue table and chair, very pretty! If I sat down in that first chair, I wouldn't be able to get up in just 5 minutes! A pool would be wonderful this weekend too...I might have to settle for the sprinkler! My kids are playing nicely and watching cartoons. You have inspired me to sneak into my bedroom and read for a bit... Thanks! what a fun post! loved the pictures! happy pink saturday! Natasha, I finally made to one of your Sunday Song! I really love Andrea Bocelli, love all of his songs, love his personality and spirit. Do you know him already? yes, yes indeed. I'm feeling much better -- truly. I love the guitarist, Tommy Emmanuel. I was totally unfamiliar with him, but now would love to have one of his CD's. Do you recommend any particular one? I also love the beautiful pictures you've provided. I think this is going to be a great day! As I was reading I was thinking, "Holy moly!" If my house looked like that I would be relaxed too! I loved your images; I'm feeling more relaxed already! Thank you I do feel much more relaxed now. Great photos, beautiful music, and a wonderful friend - what could be better? Hope your summer is going well for you. I laughed when I read the first picture! You should have had tea with me this afternoon, as I watched a program that would have highly taken your interest: on the interiors of different renovated museums: YELLOW and red being combined (this further to your previous post). Nice to read about the guitarist! Have a happy and relaxing weekend! OK, you've talked me into it--5 minutes of relaxing--just for me. Thanks for the relaxing Pink Saturday post! I will relax by the beach or the ppol! I'll take tea and cake in the living room, if that's OK? Hey Natasha... I finally made it back for a sunday song... a post I wrote called dreaming, featuring sixpence none the richer's remake of "don't dream it's over"
These images are so lovely, and I would be happy relaxing in each one of them. and, I would like a slice of that delicious cake to have with my coffee this morning. 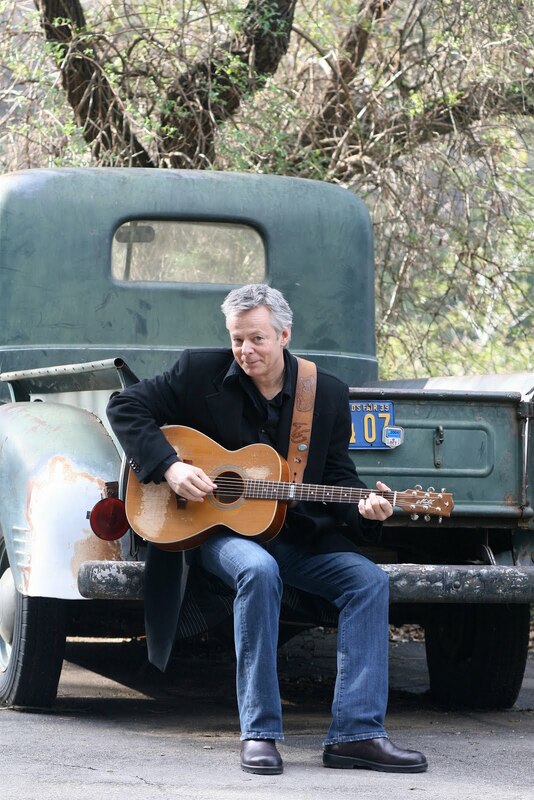 But, mostly I have to thank you for introducing me to Tommy Emmanuel. Oh my, his music speaks to my soul. I wonder if we can buy his cds here. I'll be sure to check. My daddy loved Chet Atkins. i wish i could feel relaxed too! thanks for sharing!!! I'll relax in the white rattan chaise longue while I enjoy a cup of tea ... I feel better already! Beautiful post Natasha..very relaxing..so dreamy and gorgeous! Beautiful rooms in the photos Natasha! Love the relaxing feel. I would enjoy taking 5 min. there. Thanks for stopping by. Any of those rooms I would be happy to live in, especially the ones with a great view of the sea. 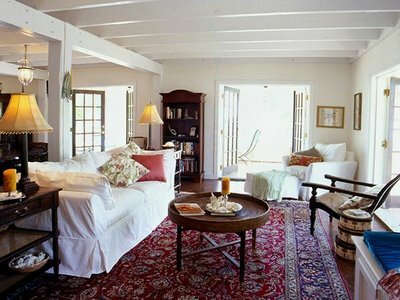 I love rooms that are light, have a tiny hint of formality, but, most importantly, are relaxing. The music is a perfect choice to relax. Thank you Natasha, and Mr. Emmanuel. Happy belated pink day. Hope you are having a great weekend relaxing. Those rooms, perfect for a lazy day. Love them. No, I had never heard of him, he's really good! And what a relaxing song, how wonderful words at the end of your post...lovely! Oh yes! I'll meet you by the pool for some tea and cookies and relaxing music! I look forward to listening to Tommy playing his guitar but right now we're on vacation and I'm on the computer in the public library. I'm anxious to link on to your Music Sundays's when I get back in a few weeks! Natasha, thanks for your recent visits to 'News From Italy' and the lovely comments. I am sorry I did not have time to join in with Sunday Song this week. Our latest visitors have now all departed and I am trying to catch up on blog reading. I am going to add your link to my post right now! I would love to have any of those sunny, airy rooms to relax in! Hi Natasha! Oh, I'd get lost in any of those lovely pictures if I could. I think I like the wicker chaise the best! What a wonderful story about this man! Just beautiful playing. Now you know I post a song at the end of my every post. Well, the words anyway. Sometimes, when I need a little change I'll actually post a video of a song. Hope you're doing well, Dear One. I'm completely relaxed after enjoying your gorgeous images, sweet Natasha. Hope Spring will soon be arriving at your doorstep! Lovely restful scenes - just what I needed. Thanks for visiting. What a nice post! I enjoyed the music! Very relaxing! I'm...so rexaled! Just got back from doing a portion of the 400 mile yard sale...looking foward to taking a peak at your Christmas Blog.